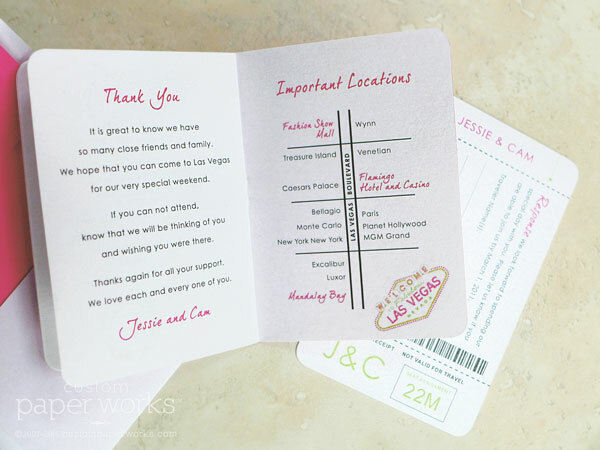 While most people reading this may not require a passport to reach Las Vegas, when you’re from Canada, you might! 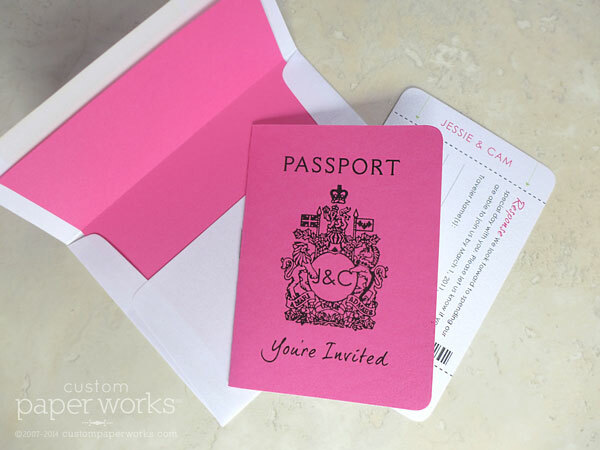 This couple requested the Canadian passport emblem printed on a bright pink passport cover. 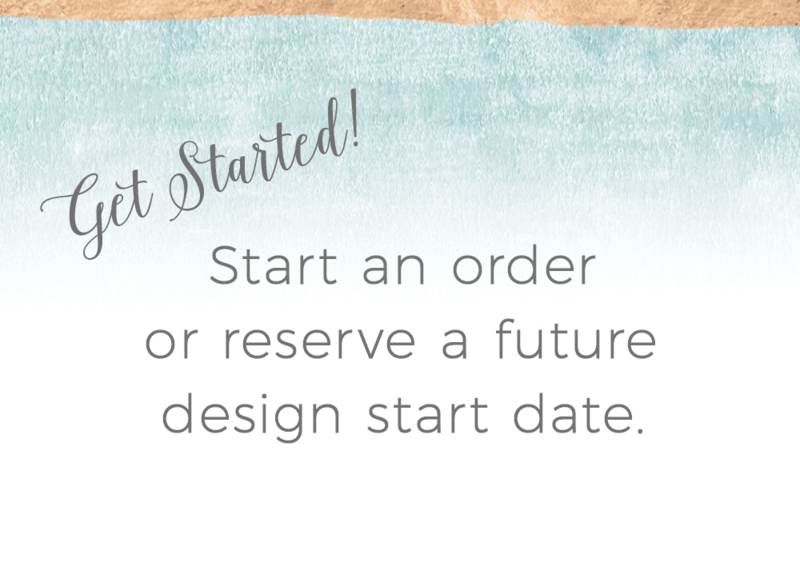 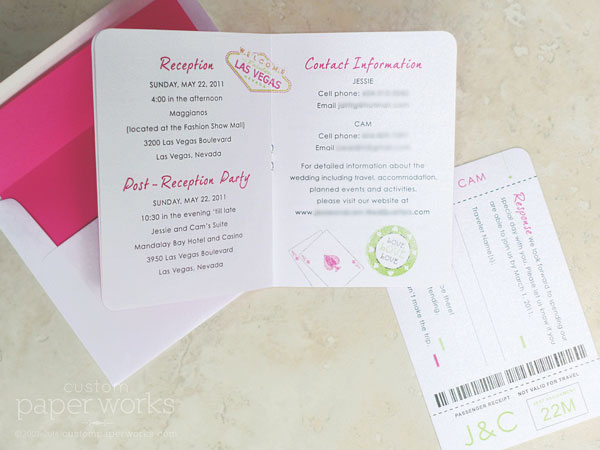 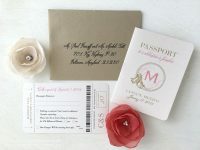 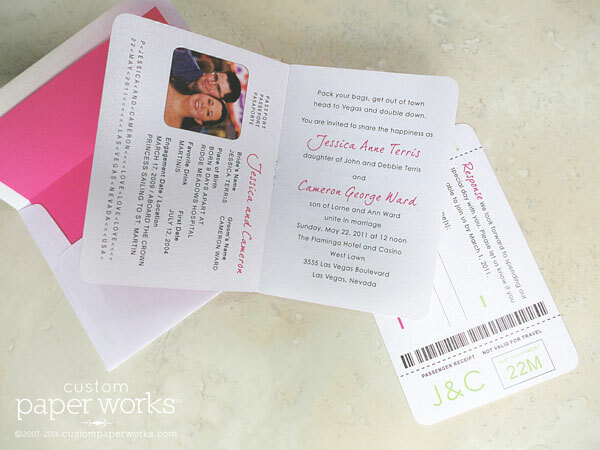 They also wanted a casual and modern look, so handwritten fonts and a clean layout plus some fun custom passport stamps was in order. 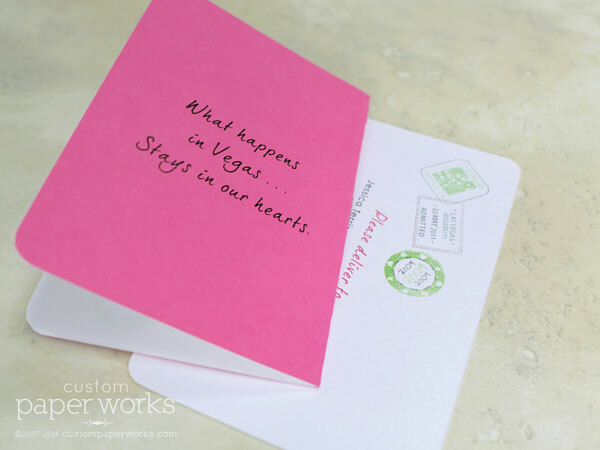 The poker chip and playing card stamp art may be my favorites yet!